I still need to find the time to do additional research about Reuben Fowler and his service, but here’s a quick bio. Born either the 4th or the 9 September 1753 in Yorktown, Winchester County, New York. He married Martha Drake in 1773. He died on 1 February 1832 at the age of 78. He is buried in the Old Van Cortlandtville Cemetery See: Marker Here. source showed the death date to be inconsistent with the actual marker. 4 months & 28 days. the date for his birth that everyone else had was inconsistent with his marker. credible source to overrule them. County, New York. His parents were Reuben and Jane Valentine Fowler. nine years old his mother Jane Valentine Fowler died. least seven children that I know of. 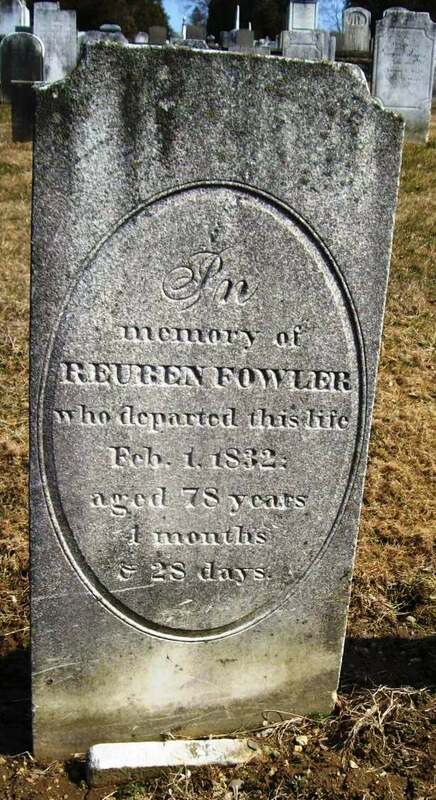 In 1777, his father Reuben Fowler (1720-1777) passed away. Cortlandtville Cemetery in Westchester County, New York. Find a Grave, digital images (http://www.findagrave.com), Reuben Fowler – Memorial# 34837264. http://www.findagrave.com/cgi-bin/fg.cgi?page=gr&GRid=34837264. Sometimes a person in your tree exemplifies what you don’t know about someone. The basics just aren’t enough to understand that person’s life. My sixth great-grandmother Jane Valentine is such a person for me. I know vitals but very little more about her or her life. She was born on the 27th of January 1724, probably in Yonkers, Westchester County, New York, although she may have been born in Yorktown Heights, also in Westchester County. Her parents were Matthias and Anna (Ryche) Valentine. In 1742 she married Reuben Fowler in Scarsdale, Westchester County, New York. Various other people’s trees indicate all kinds of things, one person’s tree says she had 17 children, one after she died. Another says she had 21, but there are clearly duplicates of children with the same name and overlapping lives. So I really don’t know how many children she had. I am sure of two, Phoebe and Reuben. 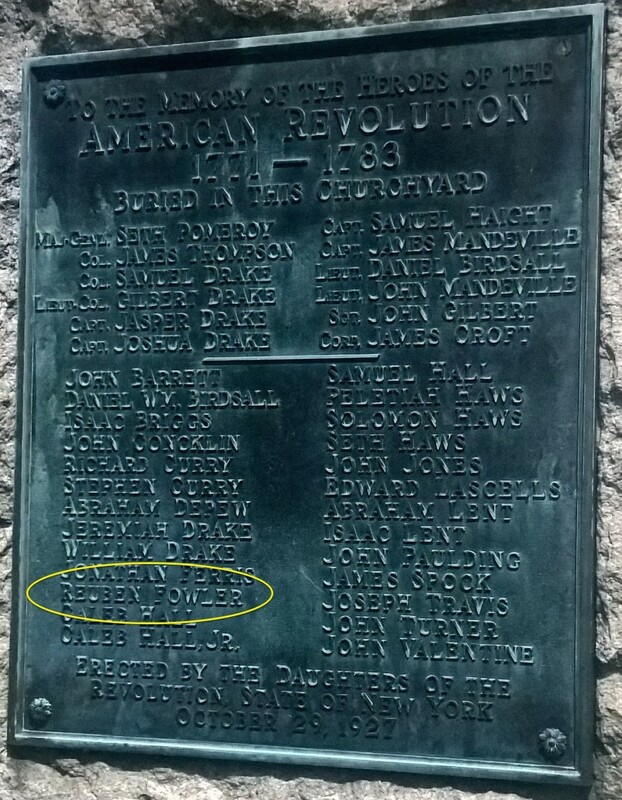 Reuben (Junior) was born to Jane in 1753 at Yorktown, Westchester County, New York, and is my fifth great-grandfather. She died in 1763, apparently in Eastchester, Bronx, New York, which is today a neighborhood in northeast Bronx, not to be confused with Eastchester town in Westchester County. Although, I suspect she may have died Eastchester town and my source got the wrong place as everything else about her life was in Westchester County. So, I have the vitals, born 1724, married 1742, Died 1763, but not much else. Her life is clearly one that I need to do much more research on. I honor and remember Jane Valentine on this, the 289th anniversary of her birth.